The last week has been a roller coaster ride, though more down than up, and investors have done what they always do during market crises. The fear factor rises, some investors sell and head for the safer pastures, some are paralyzed not knowing what to do, and some double down as contrarians, buying into the sell off. In the last week, I found myself drawn to each of three camps, often at different points in the same day, as the market went through wild mood swings. These are my most vulnerable moments as an investor, since good sense is replaced by "animal spirits", and I feel the urge to abandon everything I know about investing, and go with my gut, never a good idea. I know that I have to step back from the action, regain perspective and return to what works for me in markets, and it is for that reason that I find myself going through the same sequence, each time I face a market crisis. The first casualty in a crisis is perspective, as drawn into the news of the day, we tend to lose any sense of proportion. The last week has been an awful week for stocks, with many major indices down by 10% since last Thursday. If your initial investment in stocks was on February 1, 2018, I feel for you, because the pain has no salve, but most of us have had money in stocks for a lot longer than a week. In the table below, I look at the change in the S&P 500 last week and then compare it to the changes since the start of the year (which was less than 6 weeks ago) to a year ago and to ten years ago. I know that this is small consolation, but if you have been invested in stocks since the start of the year, your portfolio is down, but by less than 3.5%. If you have been invested a year, you are still ahead by 13.25%, even after last week, and if you've been in stocks, since February 2008, you've not only lived through an even bigger market crisis (with the S&P 500 down 38% between September 2008 and March 2009), but you have seen your portfolio climb 90.48% over the entire period, and that does not even include dividends. That is why when confronted by perpetual bears, with their "I told you so" warnings, I try to remember that most of them have been bearish since time immemorial. Not surprisingly, every sector had a down week, though energy stocks did worse than the rest of the market, with an oil price drop adding to the pain. Continuing to look at equities, let's now look geographically at returns in different markets over the last week. While the S&P 500 had a particularly bad week, the rest of the world felt the pain, with only one index (Colombo, Sri Lanka) on the WSJ international index list showing positive returns for the week. In fact, Asia presents a dichotomy, with the larger markets (China, Japan) among the worst hit and the smaller markets in South Asia (Thailand, Indonesia, Malaysia and Philippines) showing up on the least affected list. The treasury bond rate rose slightly over the week, at odds with what you usually see in big stock market sell offs, when the flight to safety usually pushes rates down. The increases in default spreads, reflected in the jumps in interest rates increasing with lower ratings, is consistent with a story of a increased risk aversion. Here again, taking a look across a longer time period does provide additional information, with treasury rates at significantly higher levels than a year ago, with a flattening of the yield curve. In summary, this has been an awful week for stocks, across sectors and geographies, and only a mildly bad week for bonds. Looking over the last year, it is bonds that have suffered a bad year, while stocks have done well. That said, the rates that we see on treasuries today are more in keeping with a healthy, growing economy than the rates we saw a year ago. Sharp movements in stock prices for no discernible reasons, with surge in fear indices. 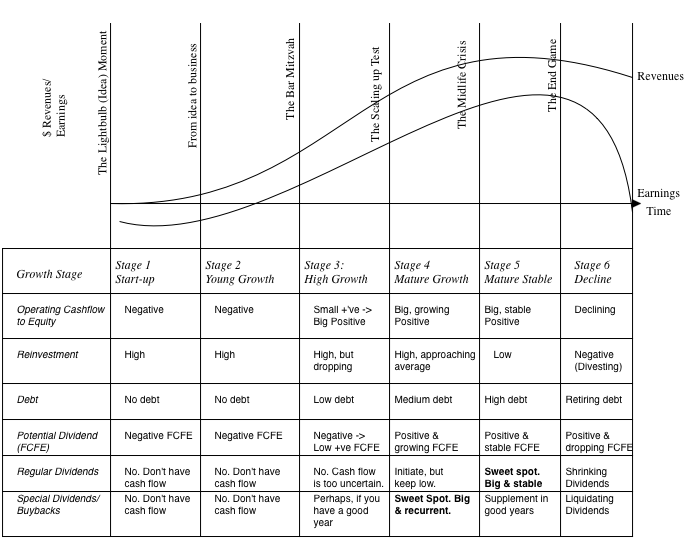 Event or news that causes expected cash flows, growth or perceived risk in equities to change significantly. Market drops sharply and stays down, with price moves tied to the fundamental(s) in focus. Event or news that leads to repricing of risk (in the form of equity risk premiums or default spreads). As price of risk is reassessed upwards, market drops until the price of risk finds its new equilibrium. The question in any meltdown is which explanation dominates, since stock market crisis has elements of all three. As I look at what's happened over the last week, I would argue that it was triggered by a fundamental (interest rates rising) leading to a repricing of risk (equity risk premiums going up) and to momentum & fear driven selling. The Fundamentals Trigger: This avalanche of selling was started last Friday (February 1, 2018) by a US unemployment report that contained mostly good news, with 200,000 new jobs created, a continuation of a long string of positive jobs reports. Included in the report, though, was a finding that wages increased 2.9% for US workers, at odds with the mostly flat wage growth over the last decade. That higher wage growth has both positive and negative connotations for stock fundamentals, providing a basis for strong earnings growth at US companies that is built on more than tax cuts, while also sowing the seeds for higher inflation and interest rates, which will make that future growth less valuable. 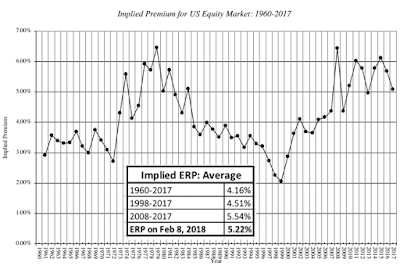 The Repricing of Equity Risk: That expectation of higher interest rates and inflation seems to have caused equity investors to reprice risk by charging higher equity risk premiums, which can be chronicled in a forward-looking estimate of an implied ERP. I last updated that number on January 31, 2018, and I have estimated that premium, by day, over the five trading days between February 1 and February 8, 2018. 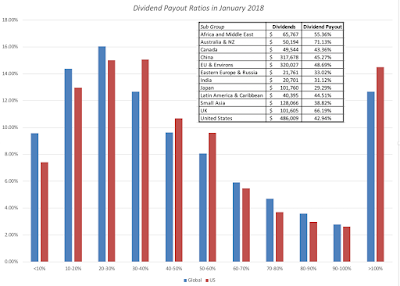 There is little change in the growth rates and base cash flows, as you go from day to day, partly because neither is updated as frequently as interest rates and stock prices, but holding those numbers, the estimated equity risk premium has increased over the last week from 4.78% at the start of trading on February 1, 2018 to 5.22% at the close of trading on February 8, 2018. The Panic Response: Most market players don't buy or sell stocks on fundamentals or actively think about the price of equity risk. Instead, some of them trade, trying to take advantage of shifts in market mood and momentum, and for those traders, the momentum shift in markets is the only reason that they need, to go from being stock buyers to sellers. Others have to sell because their financial positions are imperiled, either because they borrowed money to buy stocks or because they fear irreparable damage to their retirement or savings portfolios. The rise in the volatility indices are a clear indicator of this panic response, with the VIX almost tripling in the course of the week. Just in case you feel the urge to blame millennials, with robo-advisors, for the panic selling, they seem to be staying on the side lines for the most part, and it is the usual culprits, "professional" money managers, that are most panicked of all. Where are interest rates headed? There has been a disconnect between the equity and the bond market, since the 2016 US presidential election, with the equity markets consistently pricing in more optimistic forecasts for the US economy, than the bond markets. Stocks prices rose on the expectation that tax cuts and more robust economic growth, but bond markets were more subdued with rates continuing to stay at the 2.25%-2.5% range that we have seen for much of the last decade. As I noted in my post at the start of this year on equity markets, the gap between the US 10-year T.Bond rate and an intrinsic measure of that rate, computed by adding inflation to real GDP growth, has widened to it's highest level in the last decade. The advent of the new year seems to have caused the bond market to notice this gap, and rates have risen since. If you are optimistic about the US economy and wary about inflation, there is more room for rates to rise, with or without the Fed's active intervention. 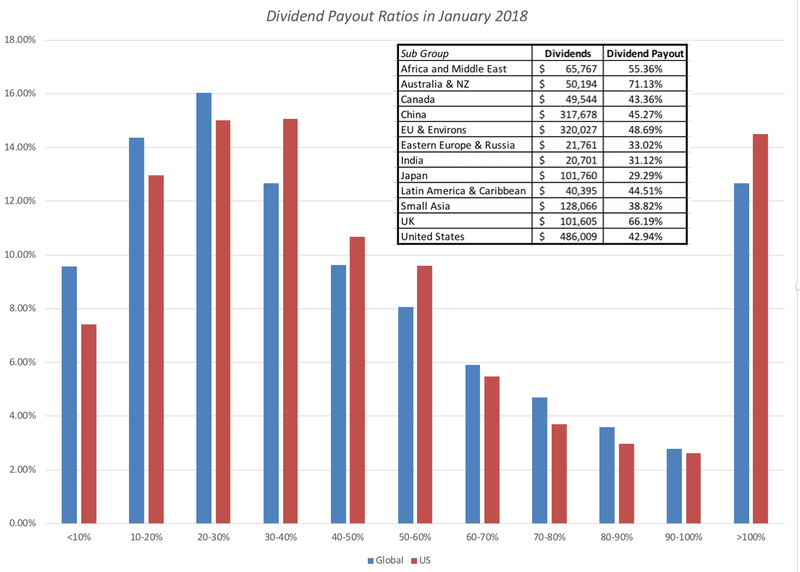 With all the caveats about the numbers that underlie this graph in place, note that the premium is now solidly in the middle of the distribution. There is always the possibility that the earnings growth estimates that back it up are wrong, but if they are, the interest rate rise that scares markets will also be reversed. When will the panic end? I don't know the answer to the question but I do know that it rests less on economics and more on psychology. There will be a moment, perhaps early next week or in two weeks or in two months, where the fever will pass and the momentum will shift. If you are a trader, you can get rich playing this game, if you play it well, or poor in a hurry, if you play it badly. I choose not to play it all. 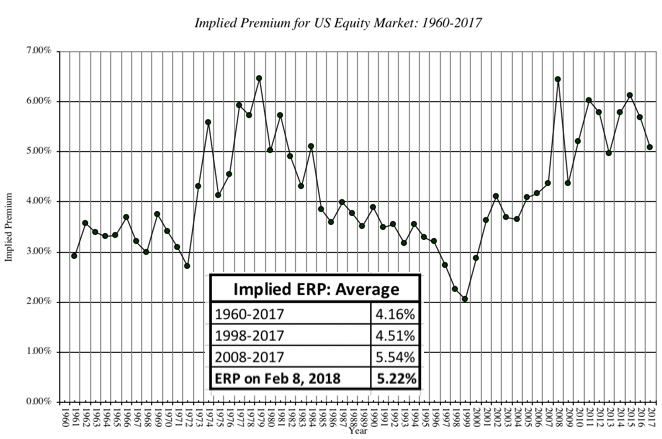 With these estimates, you should be okay with how the market is valuing equities at the close of trading February 8, 2018; it is slightly under valued at 3.90%. To provide a contrast, if you feel that analysts are over estimating the impact of the tax cuts and that the historical earnings growth rate over the last decade (about 3.03%) is a more appropriate forecast for future growth, holding the risk free rate and ERP at 3% and 5% respectively, the value you will get for the index is 2233, about 16% below the index level of February 8, 2018. If you want put in your own estimates of earnings growth, T.Bond rates and equity risk premiums, please download this spreadsheet. In fact, if you are inclined to share your estimates with a group, I have created a shared google spreadsheet for the S&P 500. Let's see what we can get as a crowd valuation. To the question of which of these is the best philosophy, my answer is that there while there is one philosophy that is best for you, there is no one philosophy that is best for all investors. The key to finding that "best" philosophy is to find what makes you tick, as an individual and an investor, not what makes Warren Buffett successful. I see myself as an investor, not a trader, and that given my tool kit and personality, what works for me is to be a investor grounded in value, though my use of a more expansive definition of value than old-time value investors, allows me to buy both growth stocks and value stocks. I am not a market timer for two reasons. First, the overall market has too many variables feeding into it that I do not control and cannot forecast, making my valuations inherently too noisy to be useful. Second, I see little that I bring to the overall market in terms of tools or information that will give me an edge over others. The truest test of whether you have a solid investment philosophy is a week like the last one, where you will be tempted to or panicked into abandoning everything that you believe about markets. I would lying if I said that I have not been tempted in the last week to time markets, either because of fear (driving me to sell) or hubris (where I want to play market contrarian), but so far, I have been able to hold out. During every market crisis, you will be tempted to look and ask that ever present question of "What if? ", where you think about all of the money you could have saved, if only you had sold last Thursday. Not only is this pointless, unless you have mastered time travel, but it can be damaging to your future returns, as your regrets about past actions taken and not taken play out in new actions that you take. My suggestion is that you return to your core investment philosophy and start to think about the actions that you can take on Monday, when the market opens, that would be consistent with that philosophy. I am taking my own suggestion to heart and have started revisiting the list of companies that I would love to invest in (like Amazon, Netflix and Tesla), but have been priced out of my reach, in the hope that the correction will put some of them into play. More painfully, I have been revaluing every single company in my existing portfolio, with the intent of shedding those that are now over valued, even if they have done well for me. If nothing else, this will keep me busy and perhaps stop me from being caught up in the market frenzy! 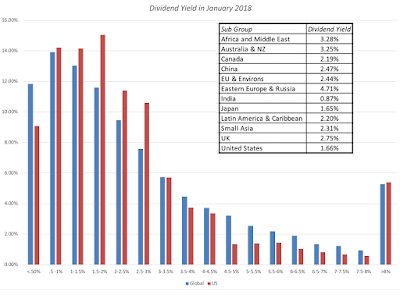 In my first nine posts on my data update for 2018, I focused on the costs that companies face in raising equity and debt, and their investment, financing and dividend decisions. In assessing those decisions, though, I looked at their actions through the lens of value creation, arguing that investing in projects that earn less than their cost of capital is not a good use of shareholder capital. While this may seem like a reasonable conclusion, it is built on the implicit assumption that financial markets reward value creation and punish value destruction. As any market observer will tell you, markets have minds of their own, sometimes rewarding companies for bad behavior and punishing companies that take the right actions. In this post, I look at market pricing around the world, and point to potential inconsistencies with the fundamentals. Understanding the difference between value and price, at least for me, is freeing, because it not only makes me aware of the assumptions that I, as an investor who believes in value and convergence, am making, but also makes me respect and recognize those who might have a different perspective. 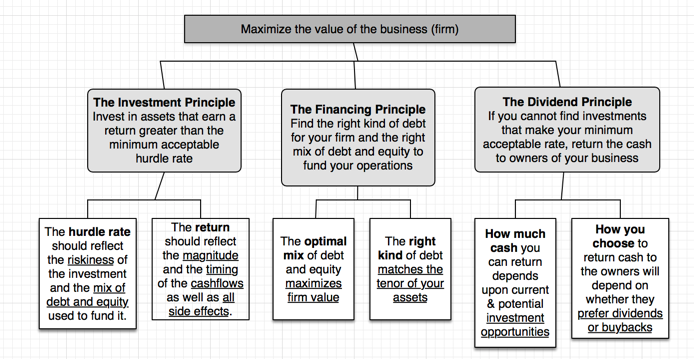 The bottom line, though, is that the pricing process can sometimes reward firms that take actions that no tonly have no effect on value, but may actually destroy value, and punish firms that are following financial first principles. 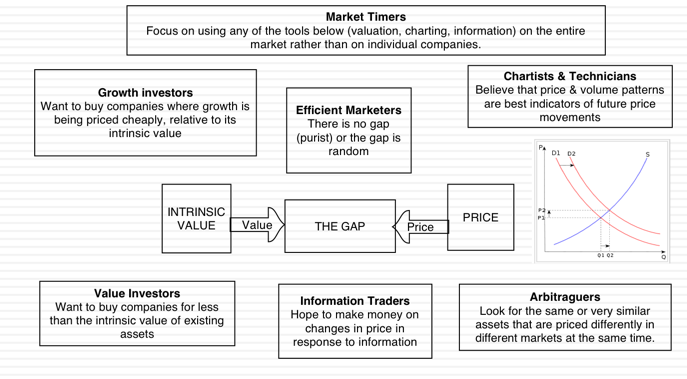 Even though I believe that value ultimately prevails, it behooves to me to try to understand how the market is pricing stocks, since it will help me be a better investor. I will begin with what sounds like a over-the-top assertion. 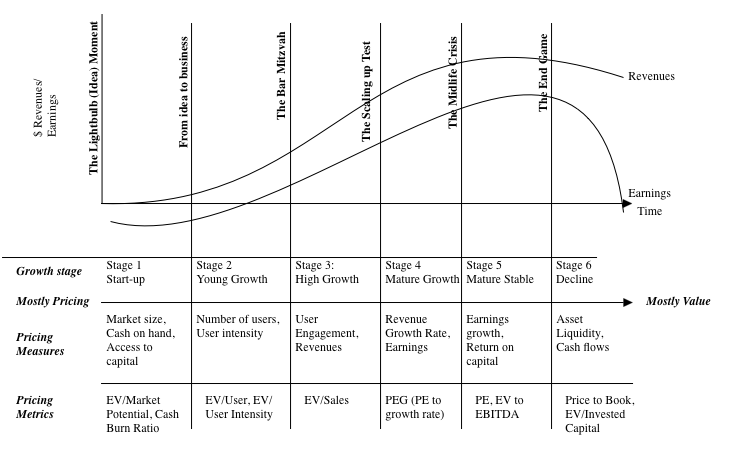 Much of what we see foisted on us as valuation, including those that you see backing up IPOs, acquisitions or big investment decisions, are really pricing models, masquerading as valuations. 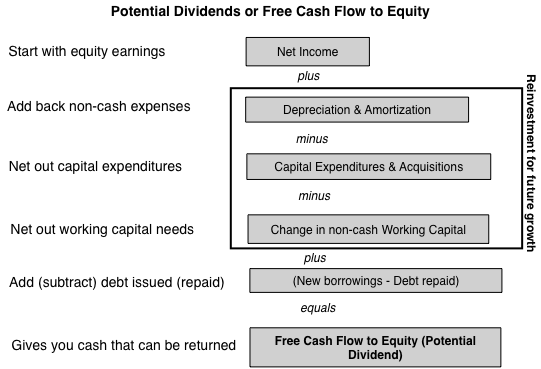 In many cases, bankers and analysts use the front of estimating cash flows for a discounted cashflow valuation, while slipping in a multiple to estimate the biggest cash flow (the terminal value) in what I call Trojan Horse DCFs. I am not surprised that pricing is the name of the game in banks and equity research, but I am puzzled at why so much time is wasted on the DCF misdirection play. There are four steps to pricing an asset or company well, and done well, there is no reason to be ashamed of a pricing. To price an asset, you have to find "similar" assets that are traded in the market. Note the quote marks around similar, because with publicly traded stocks, you will be required to make judgment calls on what you view as similar. The conventional practice in pricing seems to be country and sector focused, where an Indian food processing company is compared to other food processing companies in India, on the implicit assumption that these are the most comparable companies. That practice, though, can not only lead to very small samples in some countries, but also can yield companies that have very different fundamentals from the company that you are valuing. 1.1: With equities, there are no perfect matches: If you are valuing a collectible (Tiffany lamp or baseball card), you might be able to find identical assets that have been bought and sold recently. With stocks, there are no identical stocks, since even with companies that are close matches, differences will persist. 1.2: Small, more similar, sample or large, more diverse, sample: Given that there are no stocks identical to the one that you are trying to value in the market, you will be faced with two choices. One is to define "similar" narrowly, looking for companies that are listed on the same market as yours, of similar size and serving the same market. The other is to define "similar" more broadly, bringing in companies in other markets and perhaps with different business models. The former will give you more focus and perhaps fewer differences to worry about and the latter a much larger sample, with more tools to control for differences. 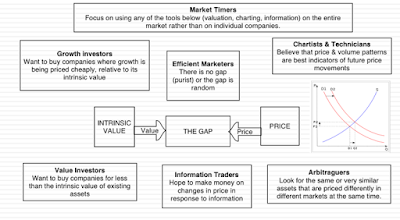 The market capitalization is the value of equity in a business, the enterprise value is the market value of the operating assets of the firm and the firm value is the market value of the entire firm, including any cash and non-operating assets. While firm value is lightly used, because non-operating assets and cash can skew it, both enterprise value and equity value are both widely used. In computing these metrics, there are three issues that do complicate measurement. One is that market capitalization (market value of equity) is constantly updated, but debt and cash numbers come from the most recent balance sheets, creating a timing mismatch. 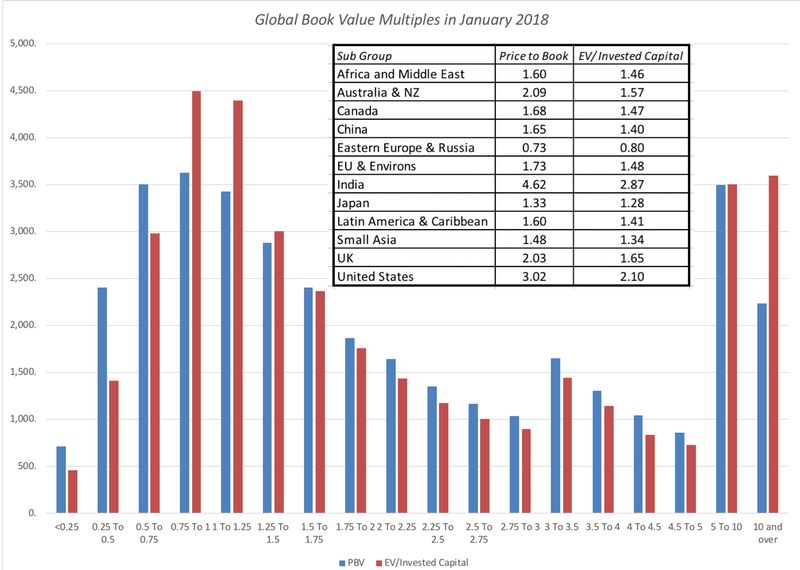 The second is that the market value of equity is easily observable for publicly traded companies, but debt is often not traded (if bank debt) and book debt is used as a stand in for market debt. 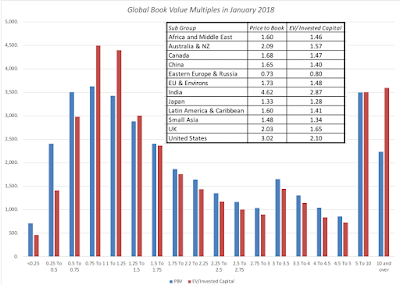 Finally, non-operating assets often take the form of holdings in other companies, many of which are private, and the values that you have for them are book values. 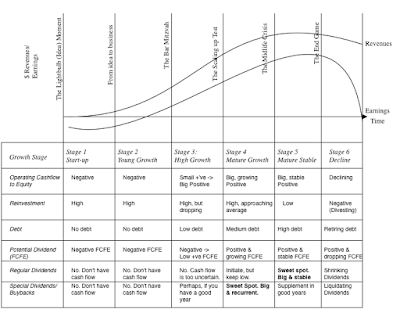 2.1: When leverage is different across companies, go with enterprise value: When comparing pricing across companies, it is better to focus on enterprise value, when debt ratios vary widely across the companies, because equity value at highly levered companies is much smaller and more volatile and cannot be easily compared to equity value at lightly levered companies. 2.2: With financial service companies, stick with equity: As I have argued in my other posts, debt to a bank, investment bank or insurance company is more raw material than source of capital and defining debt becomes almost impossible to do at financial service firms. Rather than wrestle with his estimation problem, my suggestion is that you stick with equity multiples. When pricing assets that come in standardized units, you can compare prices directly, but that is never the case with equities, for a simple reason. The number of shares that a company chooses to have will determine the price per share, and arguing that Facebook is more expensive than Twitter because it trades at a higher price per share makes no sense. It is to combat this that we scale prices to a common variable, whether it be earnings, cash flows, book value, revenues or a driver of revenues (users, riders, subscribers etc.). 3.1: Be internally consistent: If your pricing metric is an equity value, your scaling variable has to be an equity value (net income, book value of equity). 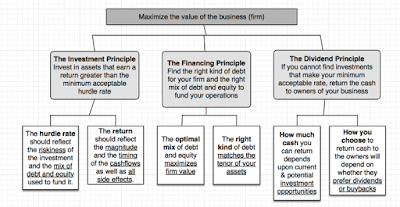 If your pricing metric is enterprise value, your scaling variable has to be an operating variable (revenues, EBITDA or book value of invested capital). 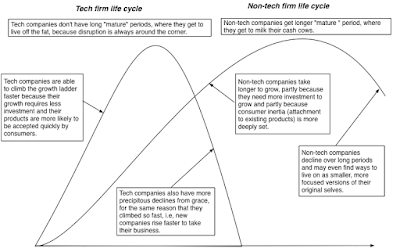 3.2: Life cycle matters: The multiple that you use to judge pricing will change, as a company moves through the life cycle. 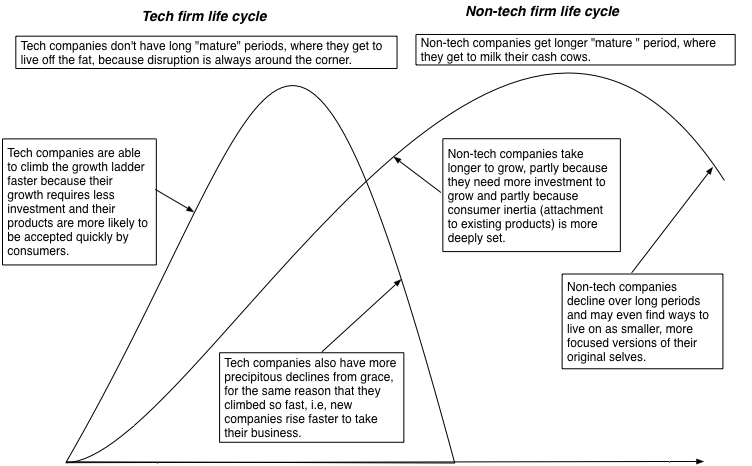 Early in the life cycle, the focus will be on potential market size or revenue drivers, since the company's own revenues are small or non-existent and it is losing money. 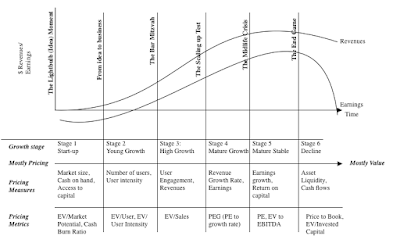 As it grows and matures, you will see a shift to equity earnings first, since growth companies are mostly equity funded, and then to operating earnings and EBITDA, as mature companies use debt, ending with a focus on book value as a proxy for liquidation value, in decline. As we noted, when discussing similar companies, no matter how carefully you pick comparable firms, there will be differences that persist between the company that you are trying to value and the comparable firms. The test of good pricing is whether you detect the variables that cause differences in pricing and how well you control for the differences. In much of equity research, the preferred mode for dealing with these differences is to spin them to justify whatever pre-conceptions you have about a stock. 4.1: Check the fundamentals: In intrinsic value, we argued that the value of a company is a function of its cash flows, growth and risk. 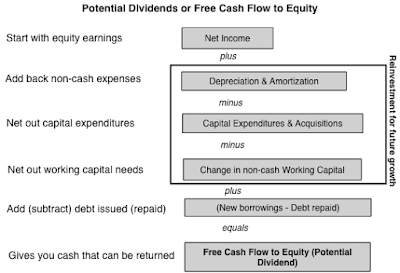 If you believe that the fundamentals ultimately prevail in markets, you should tie the multiples you use to these fundamentals, and using algebra and a basic discounted cash flow model will lead you to fundamentals drivers of any multiple. 4.2: Let the market tell you what matters: If you are a pure trader, who has little faith that the fundamentals will prevail, you can can take a different path. 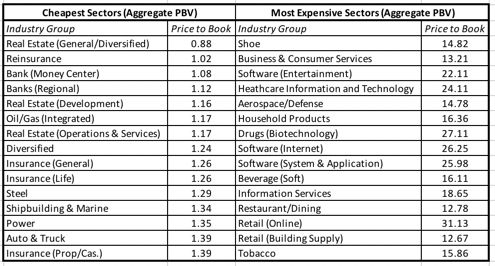 You can look at other data, related to the companies that you are pricing, and look for correlation. Put simply, you are trying to use the data to back out what variables best explain differences in market pricing, and using those variables to price your company. To illustrate the differences between the two approaches, take a look at my pricing of Severstal, where I used fundamentals to conclude that it was under priced, and my pricing of Twitter, at the time of its IPO, where I backed out the number of users as the key variable driving the market pricing of social media companies and priced Twitter accordingly. Assuming that you have had the patience to get to this part of the post, let's look at the pricing numbers at the start of 2018, around the world, starting with earnings multiples (PE and EV/EBITDA), moving on to book value multiples (Price to Book, EV to Invested Capital) and ending with revenue multiples (EV/Sales). 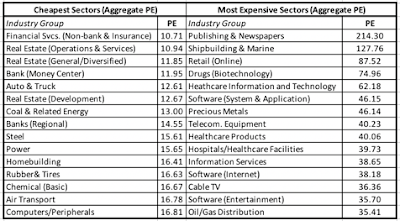 Earnings multiples have the deepest roots in pricing, with the PE ratio still remaining the most used multiple in the world. 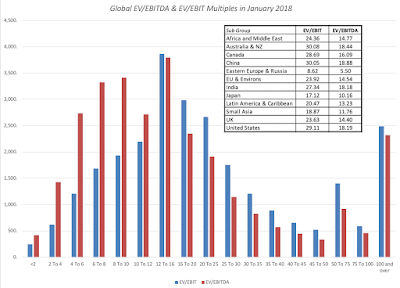 In the last two to three decades, there has been a decided shift towards enterprise value multiples, with EV/EBITDA leading the way. While I am skeptical of EBITDA as a measure of accessible cash flow, since it is before taxes and capital expenditures, I understand its pull, especially in aging companies with significant depreciation charges. If you assume that depreciation will need to go back into capital expenditures, there is an intermediate measure of pricing, EV to EBIT. 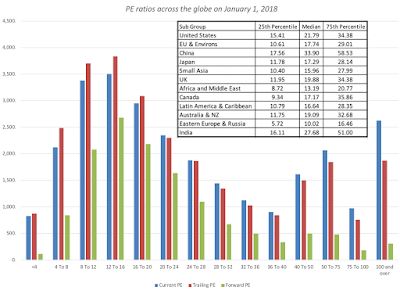 In the chart below, I look at the distribution of PE ratios globally, and report on the PE ratio distributions, broken down region, at the start of 2018. 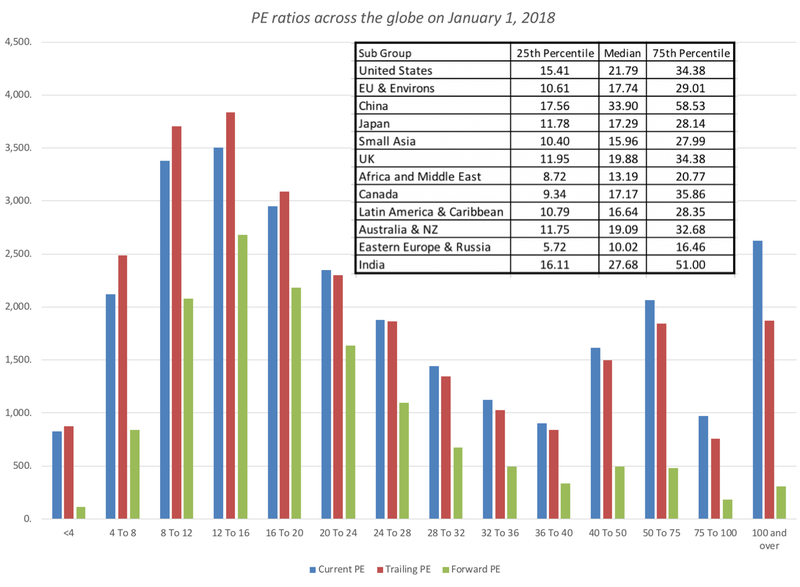 I know that it is dangerous to base investment judgments on simple comparisons of pricing multiples, but at the start of 2018, the most expensive market in the world on a PE ratio basis, is China, followed by India, and the cheapest market is Eastern Europe and Russia. If you would like to see the values for earnings multiples, by country, please click at this link. 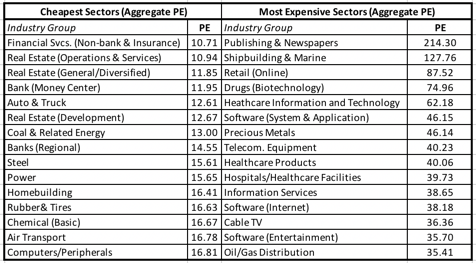 You can download the full list of earnings multiples for all of the sectors, by clicking on this link. 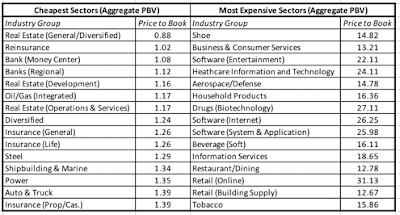 You can download the book value multiple data, by sector, by clicking here. To the question of why investors and analysts look at multiples of revenues, my one word answer is "desperation". When every other number in your income statement is negative, you have to keep climbing the statement until you hit a positive value. That said, there is value in focusing on a variable that accountants have the least influence over, and the heat map below captures differences in the enterprise value to sales ratios across the globe. 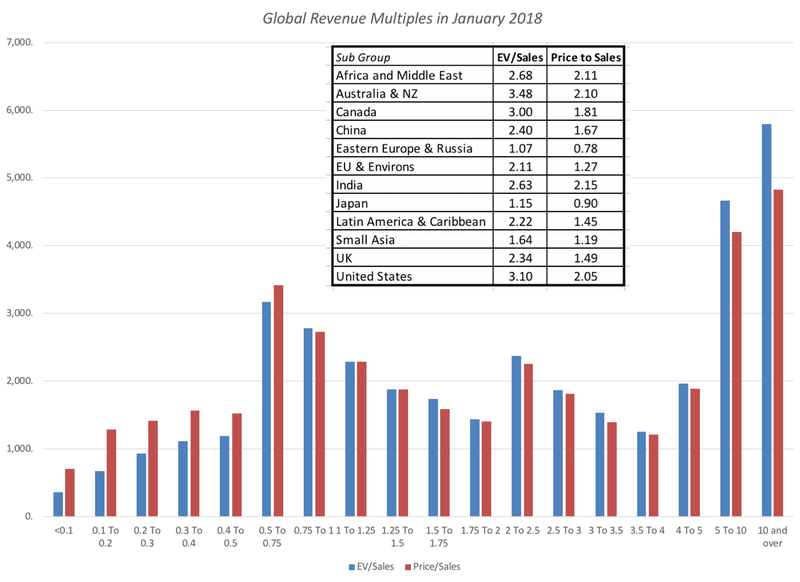 Unlike earnings and book value multiples, which have a pronounced peak in the middle of the distribution, revenue multiples are more evenly distributed, with quite a few firms trading at more than ten times revenues. As with earnings and book value multiples, I report revenue multiples, by country at this link and by sector at this link. Note that there no revenue multiples reported for financial service firms, where neither enterprise value nor revenues can be meaningfully measured or estimated. I am an investor, who believes in value, but it would be foolhardy on my part to ignore the pricing game, since I am dependent upon it ultimately to cash out on my value gains. 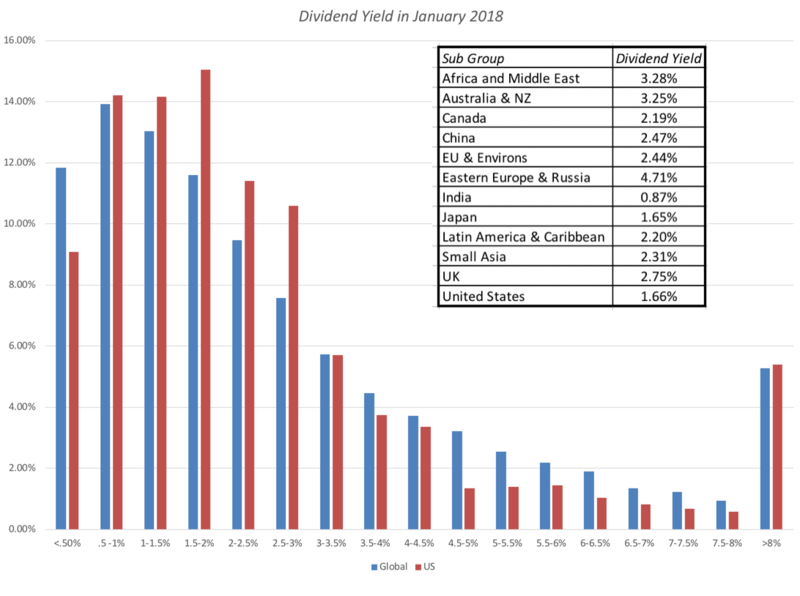 In this post, I have looked at the pricing differences around the globe, at least based upon market prices at the start of 2018. Of all of my data posts, this is the one that is the most dynamic and likely to change over short periods, since markets can react to change far more quickly than companies can.